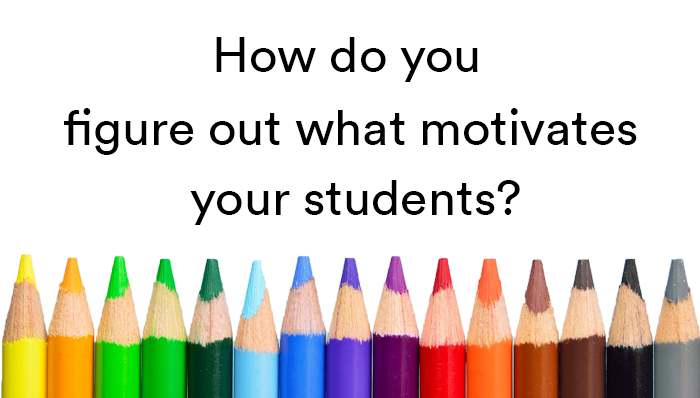 How do you figure out what motivates your students? This month’s ASAT feature comes to us from Niall Toner, MA, BCBA of the New York State Institute for Basic Research in Developmental Disabilities. To learn more about ASAT, please visit their website at www.asatonline.org. You can also sign up for ASAT’s free newsletter, Science in Autism Treatment, and like them on Facebook! I am a special education teacher working with students with autism. At times I find it difficult to figure out what motivates my students and what they’re interested in. Can you make some suggestions about the best way to do this? This is an excellent question and one that highlights a challenge often experienced not only by teachers but also by family members of individuals with autism. We know that the interests and preferences of individuals with and without autism vary significantly over time. Also, we know that effective teaching of skills and behavior change are predicated upon the timely use of powerful reinforcement (i.e., positive consequences of skilled behavior that motivate and strengthen that behavior). As discussed below, identifying an individual’s preferences is a critical first step in teaching new skills because these preferences often lead to the identification of powerful reinforcers; but how we do this can be easier said than done, especially when the learner has a limited communication repertoire or very individualized interests. The best way to identify preferences is through ongoing preference assessments. Since many individuals with autism may have difficulty identifying and communicating their preferences directly, we must consider alternative methods of obtaining this information. At the onset, it is important to keep in mind that what may be rewarding or reinforcing for one individual may not be for another. For example, one child may enjoy bubble play, crackers or a particular cause-and-effect toy while a classmate may find one or more of these uninteresting or even unpleasant. Furthermore, an individual’s preferences change across time. For example, an individual may have demonstrated little use for music at age 11, but she may demonstrate a keen interest in music at age 13. Preference assessments provide a systematic, data-based approach to evaluating a host of potential interests (e.g., food, toys, activities) for an individual. Although preference assessments do require time and effort up front, their use can decrease the time and energy, required to change behavior in the long run. Research indicates that when caregivers use a presumed preference that, in fact, is not the learner’s actual preference, valuable time, energy and resources are lost (Cooper, Heron, & Heward, 2006). Preference assessment can be conducted in three distinct ways: (1) Interviews and Formal Surveys; (2) Direct observation; and (3) Systematic assessment. from the individual, if communicative) by asking both open-ended and comparison questions. Examples of open-ended questions include: “What does he like to do?” “What are his favorite foods?” and “Where does he like to go when he has free time?” Comparison questions might include: “Which does he like better, cookies or crackers?” and “What would he rather do, go for a walk or eat chips?” Resultant information is then compiled in a list and identified items and activities can be piloted out as possible reinforcers. Formal surveys can also be used to guide these discussions. One widely used survey is the Reinforcement Assessment for Individuals with Severe Disabilities (RAISD; Fisher, Piazza, Bowman, & Amari, 1996). This interview-based survey gathers information about potential reinforcers across a variety of domains (e.g., leisure, food, sounds, smells), and ranks them in order of preference. It should be noted that, although simple and time-efficient, using interviews alone can result in incomplete or inaccurate information. In fact, some studies have shown that, for the same individual, staff interviews did not reveal the same information as using a survey (Parsons & Reid, 1990; Winsor, Piche, & Locke, 1994). Direct observation involves giving the individual free access to items and/or activities that he or she may like (presumed preferences) and recording the amount of time the individual engages with them. The more time spent with an item or activity, the stronger the presumed preference. In addition, positive affect while engaged with these items and activities could be noted (e.g., smiling, laughing). During these observations, no demands or restrictions are placed on the individual, and the items are never removed. These direct observations can be conducted in an environment enriched with many of the person’s preferred items or in a naturalistic environment such as the person’s classroom or home. Data are recorded over multiple days, and the total time spent on each object or activity will reveal the presumed strongest preferences. Direct observation usually results in more accurate information than interviews but also requires more time and effort. Systematic assessment involves presenting objects and activities to the individual in a preplanned order to reveal a hierarchy or ranking of preferences. This method requires the most effort, but it is the most accurate. There are many different preference assessments methods, all of which fall into one of the following formats: single item, paired items, and multiple items (Cooper, Heron, & Heward, 2006). Single item preference assessment (also known as “successive choice”) is the quickest, easiest method. Objects and activities are presented one at a time and each item is presented several times in a random order. After each presentation, data are recorded on duration of engagement with each object or activity. Paired method or “forced-choice” (Fisher et al., 1992) involves the simultaneous presentation of two items or activities at the same time. All items are paired systematically with every other item in a random order. For each pair of items, the individual is asked to choose one. Since all objects and activities have to be paired together, this method takes significantly longer than the single-item method but will rank in order the strongest to weakest preferences. Researchers found that the paired method was more accurate than the single item method (Pace, Ivancic, Edwards, Iwata & Page, 1985; Paclawskyj & Vollmer, 1995). The multiple-choice method is an extension of the paired method (DeLeon & Iwata, 1996). Instead of having two items to choose from, there are three or more choices presented at the same time. There are two variations to this method: with and without replacement. In the multiple choice with replacement method, when an object is selected, all other objects are replaced in the next trial. For example, if the individual is given a choice of cookies, crackers, and chips, and he chooses cookies, the cookies will be available for the next trial, but the crackers and chips are replaced with new items. In the without replacement method, the cookies would not be replaced and the choice would only be between the crackers and chips. No new items would be available. When conducting preference assessments, consider testing leisure items/activities and food assessments separately because food tends to motivate individuals more than toys and other leisure items (Bojak & Carr, 1999; DeLeon, Iwata, & Roscoe, 1997). Also, be sure to assess preferences early and often. Preference assessments should be conducted prior to starting any new intervention or behavior change program. And remember that preferences change over time and require continuous exploration. Therefore, assessments should be updated monthly or whenever an individual appears tired of or bored with the preferred items. Keep in mind too, that the identification of one type of preference may provide ideas for other potential reinforcers. For example, if an individual loves a certain type of crunchy cereal, he/she may like other cereals or crunchy snacks. Or if an individual enjoys coloring with crayons, consider exploring whether he/she may enjoy coloring with markers or using finger paints. 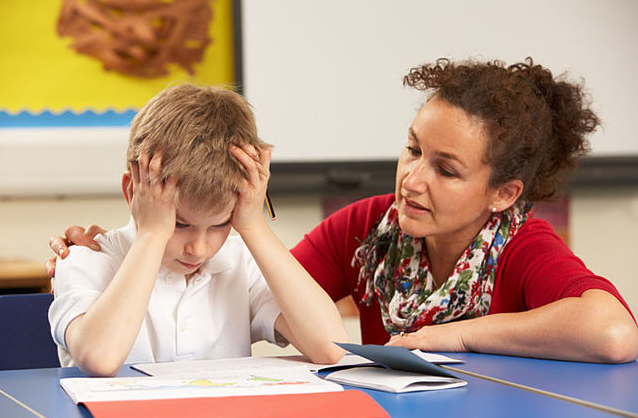 Finally, when selecting a preference assessment method, a practitioner or parent should consider the individual’s communication level, the amount of time available for the assessment, and the types of preferred items that will be available. Taken together, these preference assessment methods can provide the valuable information necessary to help motivate and promote behavior change in individuals with autism. Bojak, S. L., & Carr, J. E. (1999). On the displacement of leisure items by food during multiple stimulus preference assessments. Journal of Applied Behavior Analysis, 32, 515-518.
Cooper, J. O., Heron, T. E., & Heward W. L. (2006). Applied Behavior Analysis (2nd ed.). Upper Saddle River, New Jersey: Prentice Hall. DeLeon, I. G., & Iwata, B. A. (1996). Evaluation of multiple-stimulus presentation format for assessing reinforcer preferences.Journal of Applied Behavior Analysis, 29, 519-533. DeLeon, I. G., Iwata, B. A., & Roscoe, E. M. (1997). Displacement of leisure reinforcers by food during preference assessments. Journal of Applied Behavior Analysis, 30, 475-484. Fisher, W. W., Piazza, C. C., Bowman, L. G., & Amari, A. (1996). Integrating caregiver report with a systematic choice assessment. American Journal on Mental Retardation, 101, 15-25. Fisher, W. W., Piazza, C. C., Bowman, L. G., Hagopian, L. P., Owens, J. C., & Slevin, I. (1992). A comparison of two approaches for identifying reinforcers for persons with severe to profound disabilities. Journal of Applied Behavior Analysis, 25, 491-498. Pace, G. M., Ivancic, M. T., Edwards, G. L., Iwata, B. A., & Page, T. J. (1985). Assessment of stimulus preference and reinforcer value with profoundly retarded individuals. Journal of Applied Behavior Analysis, 18, 249-255. Paclawskyj, T. R., & Vollmer, T. R. (1995). Reinforcer assessment for children with developmental disabilities and visual impairments. Journal of Applied Behavior Analysis, 28, 219-224. Parsons, M. B., & Reid, D. H. (1990). Assessing food preferences among persons with profound mental retardation: Providing opportunities to make choices. Journal of Applied Behavior Analysis, 23, 183-195. Windsor, J., Piche, L. M., & Locke, P. A. (1994). Preference testing: A comparison of two presentation methods. Research in Developmental Disabilities, 15, 439-455. Niall Toner MA, BCBA, LBA is a licensed behavior analyst and board certified behavior analyst with over 10 years experience working in the fields of applied behavior analysis and developmental disabilities. Niall is currently the Clinical Director for Lifestyles for the Disabled. Prior to the position he served as a consultant to various organizations including the New York City Department of Education. He also held the position of Assistant Director at the Eden II Programs. Niall has presented locally, nationally and internationally. His interests are Preference Assessments and Functional Analysis, which he presents and publishes. Tip of the Week: What Is Reinforcement In ABA? Sometimes, people hear about ABA and equate reinforcement with bribery. But the two are quite different, and it’s important to understand those differences. First, let’s look at bribery. The definition of bribery is “to persuade someone to act in one’s favor by a gift of money or other inducement.” The first thing to note is that bribery helps the person persuading, not the person completing the action. The second thing to note is that when we consider bribery with children, it’s often implemented when the child is already engaging in an inappropriate behavior. For instance, you might see a child throw himself on the floor in the grocery store and begin kicking and screaming. If the father says, “If you get up, I’ll buy the candy bar,” that would be considered bribery. So what is reinforcement, then? Reinforcement is anything that occurs immediately after the behavior that increases the future likelihood of the behavior. And reinforcement occurs all the time in real life! If I turn on a new radio station and it happens to be playing by favorite song, I am more likely to turn to that radio station again in the future. If I send a text to a friend and she responds immediately, I am more likely to text her again in the future. If my stomach is upset, then I drink a seltzer and it calms my stomach, I am more likely to drink seltzer in the future when my stomach hurts. Where confusion often sets in is when we plan reinforcement to increase the behavior of an individual. It’s important to understand that the goal in ABA teaching should always be to move from planned reinforcement to unplanned or natural reinforcement. Think of it as jumpstarting a behavior that will benefit the individual. For instance, I have a student that would run into the street if you let go of his hand. Part of teaching procedure was to teach him to stop at the curb. This behavior is obviously a benefit to him and helps increase his safety. When he stopped at the curb, he earned a token. When he had earned five tokens, he earned access to the iPad. After he was successfully stopping at the curb, we taught him the next step was to reach for the adult’s hand. He no longer earned tokens for stopping at the curb, but he did earn tokens for completing both steps. We continued in this way until he was appropriately stopping at the curb, reaching for the adult’s hand, then waiting for the sign to say “Walk,” looking both ways, then walking into the street. It was a lengthy process, but planned reinforcement in the form of tokens was the best method for teaching him to be safe on the street. A final note about reinforcement: it varies by individual. Some individuals are highly reinforced by chocolate or books or access to music. Others are highly reinforced by playing with a ball or going for a walk. In ABA, we don’t just walk in and give a kid M&M after M&M and hope their behavior magically changes. The first step is to conduct a preference assessment. A common one I use can be found here. This tool will help guide you to the most effective reinforcers for your learner and make your intervention more efficient. This month’s featured article from ASAT is by Program Director of the Kansas City Autism Training Center Tanya Baynham, MS, BCBA, on a variety of research-based strategies to help you expand interests in children with autism. To learn more about ASAT, please visit their website at www.asatonline.org. You can also sign up for ASAT’s free newsletter, Science in Autism Treatment, and like them on Facebook! My child is doing well with many of his ABA programs, even the ones that focus on the development of play skills. Unfortunately, he doesn’t play with most of the toys that we give him, and he has worked for the same five things since our program began a year ago (marshmallow peeps, Thomas trains, tickles, Wiggles songs, and raisins). What can I do to expand his interests and maybe even get those interests to function as reinforcers for teaching targets? Inherent to a diagnosis of autism is the observation that the child will engage in restricted or repetitive behavior and may also display restricted interests. Expanding those interests, specifically in the areas of toy use and play, is an important programming goal as it can result in a number of positive effects. First, rates of socially appropriate behaviors may increase while rates of inappropriate behaviors may decrease. For example, engaging a child in looking at a book may decrease stereotypic behaviors or passivity (Nuzzolo-Gomez, Leonard, Ortiz, Rivera, & Greer, 2002). Second, interest expansion can lead to new social opportunities for children and promote greater flexibility when bringing them to new environments. For example, a child with a new preference for coloring may be more successful in a restaurant because he will sit and color the menu, or he can attend Sunday school because he will color a picture when directed. Third, the addition of new reinforcers in ABA programs may help prevent satiation or allow you to allocate more highly preferred items for difficult teaching targets and less preferred items for easier targets. Stocco, Thompson, and Rodriguez (2011) showed that teachers are likely to present fewer options to individuals with restricted interests and will allow them to engage longer with items associated with those restricted interests. The authors suggest one possible reason for this is that teachers might be sensitive to the fact that negative behaviors (e.g., whining, pushing the toy away) are more likely to accompany the presentation of a toy that is not associated with the child’s restricted interest. In general, this sensitivity to the child’s behavior is important in maintaining low rates of problem behavior, but it can potentially limit access to novel experiences or activities. We need to systematically program effective ways to expand a child’s interests without evoking tears and other negative behavior. Playing a game: Use peeps as the game pieces in a game you want your child to enjoy, embedding opportunities to eat the peeps at different points during the game. Trying a new activity: Sing a favorite song as you help your child up the ladder of an unfamiliar slide on the playground. Reading a book: Tickle your child before turning each page while reading a book. A second way to expand interests is to think about why your child might engage in those restricted interests. If he likes Thomas because of the happy face, put Thomas stickers on a ring stacker. If he likes Thomas because of the wheels, present other vehicles with wheels. If your child likes peeps because they blow up in the microwave, put Mentos in a cola bottle or use baking soda to make a volcano. If he likes peeps because they are squishy, use marshmallows in art projects or in a match-by-feel game. Following our last feature on guided playdates, we’ve partnered with the Association for Science in Autism Treatment (ASAT) again this week to bring you an article by Tracie Lindblad, Reg. 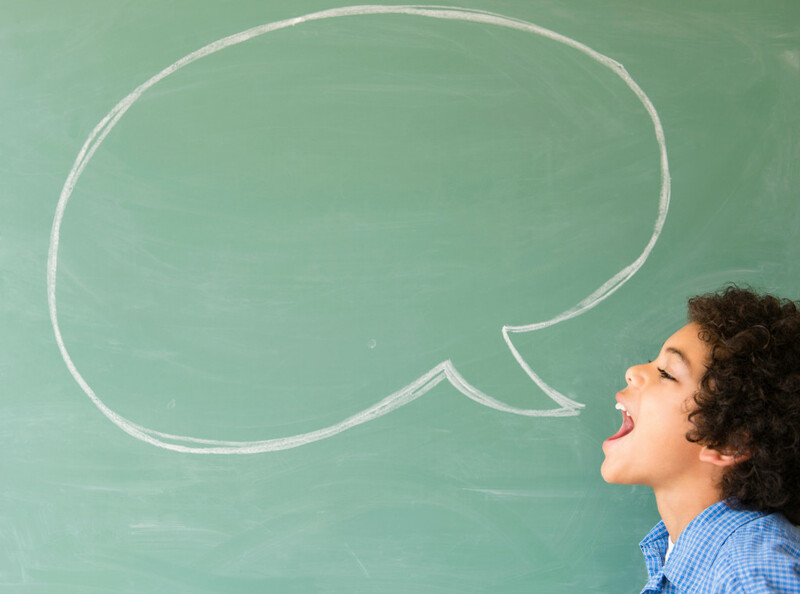 CASLPO (SLP), MS, MEd, BCBA, on increasing speech intelligibility in children with autism. To learn more about ASAT, please visit their website at www.asatonline.org. You can also sign up for ASAT’s free newsletter, Science in Autism Treatment, and like them on Facebook! How do you increase speech intelligibility (articulation skills) or the variability in the sounds produced by children with autism spectrum disorders? Approximately 30–50% of individuals with autism spectrum disorder (ASD) remain minimally verbal throughout their lives, with little or no functional speech (National Institutes of Health & National Institute on Deafness and Other Communication Disorders, 2010; Johnson, 2004; Mirenda, 2003). These individuals may rely on more effortful modes of communication such as reaching for desired items, taking another’s hand to gain access, or obtaining the item independent of communication. Attempts to communicate may also take the form of challenging behaviours such as aggression, self-injury, and tantrums. 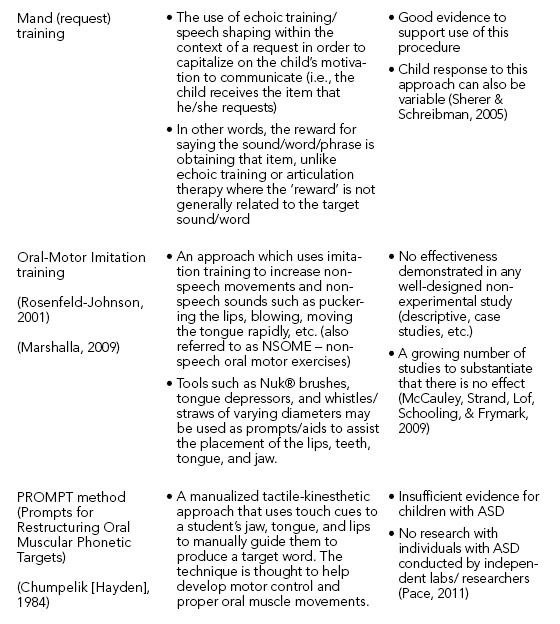 Parents face a difficult task in choosing a treatment for minimally verbal children with ASD because a wide range of techniques are routinely used by speech-language pathologists and behaviour analysts with varying degrees of success and evidence. 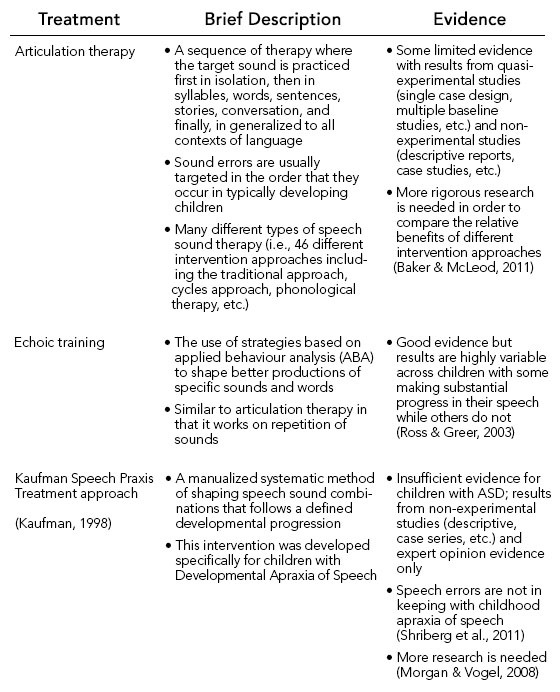 The following table highlights some of the most-commonly implemented interventions to target speech skills and the current evidence base for each. This week, we’re excited to share the second installment in our series of exclusive interviews with autism experts for the month of April, featuring Mary Jane Weiss, PhD, BCBA-D. In this interview with BCBA Sam Blanco, Dr. Weiss discusses some of the most effective ways for parents and practitioners to develop social skills in young children, as well as some of the most common errors that are made in teaching these important skills. SAM BLANCO: What advice do you have for parents of young learners who are concerned about social skills? MARY JANE WEISS: Well, we all need to be concerned about social skills. One related issue is social motivation. If a learner is socially interested, social skill training is considerably easier. If not, we need to work on making social interaction meaningful and rewarding. What are the favorite activities of this child? How can we embed ourselves into them? Can we teach manding for them so that we grant access? Can we create social routines within them? How can we make something that is not yet social begin to be social? SB: What are activities parents can engage in to help their learners develop stronger social skills? MJW: Parents are in a great position to teach social skills, because there are endless opportunities to use as teaching moments. Think of requesting: there are countless moments in every day to work on requesting – food, drinks, snacks, tissues, a ball, to go outside, to play a game, to make a silly face…Imitation too is so easy to work on and the list of things to imitate is long. Can your child imitate how you clean the table, sweep the floor, load the dishwasher, open the mail, help a younger sibling do a puzzle? And joint attention: capture the unusual moments in every day and create a social exchange around them! SB: When considering social skills for young learners, what are the first skills you focus upon? MJW: Imitation, Joint Attention, Manding… I think we have to start with these. They are core socio-communicative skills. Many higher order skills require these foundations. And I think we need to focus on pairing ourselves with great things to naturally build approach behaviors and naturally reduce avoidance behaviors. SB: Many parents and practitioners are concerned about eye contact. Can you talk about that skill? Why is it important? Do you start with eye contact? Build eye contact through engaging playful interaction. Try not to over-rely on any attentional cue (but especially not “look at me”). Experiment with more natural ways to get eye contact on command (e.g., in response to name or given as a group instruction to all). SB: Are there any common mistakes you see in teaching social skills? MJW: YES, thanks for asking that question! The biggest mistake I have seen is teaching social skills in rote and contrived situations that do not represent natural experiences. When we teach a list of social questions, we are not necessarily helping learners to develop social conversation skills. We do not ask people their name, address, favorite food, and siblings’ names as conversation (beyond the first day of meeting someone!). We need to teach CONTEXT. We do not ask someone about their weekend each time we see them on Monday. We only do that the FIRST time. Sensitivity to context is often absent from social skill instruction. Also, I see people focusing on responsivity to questions. We need to broaden the responsivity training. In fact, many social exchanges start with comments. Someone comments about something, and we respond with comments or questions. Most children with autism are taught to respond to questions. Sometimes, they do not even realize that a comment is a social opportunity. Finally, we need to teach INITIATION skills. How do we start a conversation, ask someone to play with us, ask for something we need, request to join a game? We have to balance our instruction in responding with instruction in initiation! SB: There’s a common misconception that ABA is solely teaching skills at a table in discrete trials. How can ABA be useful in teaching social skills? MJW: ABA can be useful in teaching a wide variety of social skills well beyond DTI! I really like the work on scripts. I also like the way Jed Baker has outlined social skills training for non-vocal learners. I absolutely love the Crafting Connections curriculum; it is so focused on socially valid skills. SB: What resources do you recommend to parents? SB: Is there any particular assessment you recommend practitioners use to assess social skills? MJW: There are a variety of assessments that target social skills. Some are useful for group interaction (e.g., the ABLLS-R has a section on classroom relevant skills……). The VB-MAPP has some elements that are very socially relevant, including the Barriers Assessment and the Transitions Assessment. Those assessments help to identify individuals that may be ready for more group instruction or more naturalized instruction. SB: Are there any particular studies you direct practitioners to that are related to social skills training for individuals with autism? MJW: I really like the work of Justin Leaf and his colleagues at Autism Partnership. Their elegant studies have been real contributions to the empirical literature. Bridget Taylor has also done some excellent work, including in some centrally important areas such as joint attention. 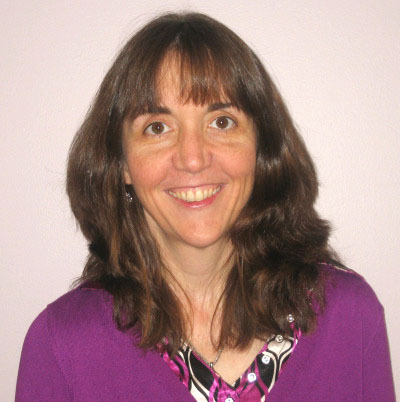 Mary Jane Weiss, Ph.D., BCBA-D has been working as a behavior analyst serving people with autism for over 25 years. She received her Ph.D. in Clinical Psychology from Rutgers University in 1990, and became a Board Certified Behavior Analyst in 2000. She is currently a Professor of Education at Endicott College, where she directs the graduate programs in ABA and Autism. She previously served as an Associate Professor at the Graduate School of Applied and Professional Psychology at Rutgers University, and as Director of Research and Training and as Clinical Director of the Douglass Developmental Disabilities Center at Rutgers University for 16 years. Her clinical and research interests center on defining best practice ABA techniques, on evaluating the impact of ABA in learners with autism spectrum disorders, and in maximizing family members’ expertise and adaptation. She is a regular presenter at regional and national conferences on topics relevant to ABA and autism. She is a past president of the Autism Special Interest Group of the Association for Behavior Analysis, a former member of the Association of Professional Behavior Analysts Board of Directors, and she currently serves on the ethics review committee of the Behavior Analyst Certification Board, on the Scientific Council of the Organization for Autism Research, on the Legislative Affairs Committee of the New Jersey Association for Behavior Analysis, and on the Board of Trustees of Autism NJ. Reinforcers are a key element in any intervention program as they lay a foundation for motivating children to learn and acquire new skills and language. 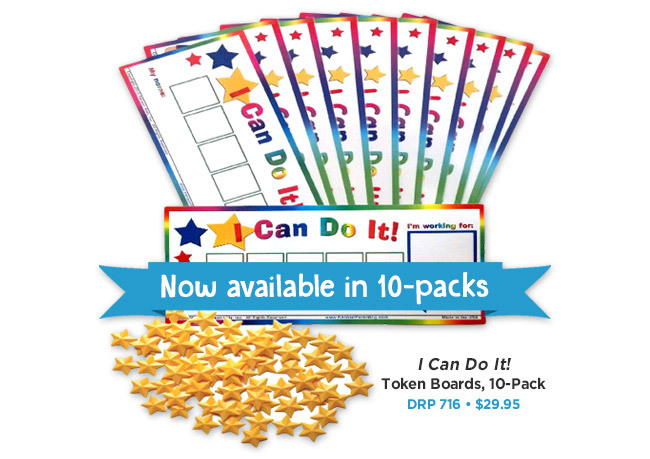 This week, we’re letting you take 15% off* on these great reinforcers we’ve just added to our catalog. Just apply our promo code REINFORCE at check out to redeem your savings on either or both of these reinforcers! The fun never ends with these snapping, popping toobs! Each toob flexes back and forth, expanding from 8″ to 30″ and can be stretched, bent, and connected together. This is a great toy for working on joint-attention, reciprocity, response to sounds, and working on action words, such as “push,” “pull,” “pop,” and “open.” The toobs provide tactile stimulation while developing fine motor skills and auditory feedback. Most of all, they’re just plain fun to play with! Colors vary. Hold the ocean in the palm of your hand! This attractive Ocean Wave Drum carries a special textured wave-like rim. Gently tilt the drum and watch the colorful beads dance as you listen to the soft, gentle sound of soothing ocean waves. This drum also makes a great tool for practicing vocabulary (e.g. “shake,” “hit,” “up,” “down”), joint-attention skills, and using multiple objects together in play. This sight and sound experience will provide endless fascination and fun! Don’t forget – you can take 15% off* your order of either or both of these brand new reinforcers by using our promo code REINFORCE when you check out online or over the phone this week! *Offer is valid until 11:59pm EST on February 17th, 2015. Not compatible with any other offers. Be sure there are no spaces or dashes in your code at check out!